Rathall Creek (also written as Rat Hall Creek) in Mount Pleasant, seen here, is a tributary of the Wando River. The tidal creek runs in front of the Hibben, Etiwan Pointe, and Grassy Creek planned communities and is a popular spot for kayakers. After crossing the James B. Edwards Bridge over the Wando River from Daniel Island to Mount Pleasant, the creek runs parallel to the Mark Clark Expressway on the left side. In July of 2011 the United States Coast Guard rescued a 28-year-old woman from Rathall Creek. She had capsized into the estuary while kayaking and was swept out to towards Wando River in an outgoing tide. The kayaker was uninjured. We are actively seeking more information or personal accounts on Rathall Creek. 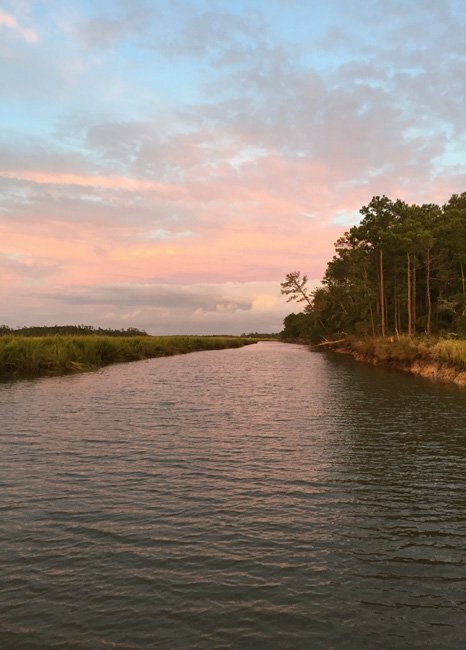 If you can add to this entry in the South Carolina Picture Project, please let us know. Thank you!